How does coal mining affect Appalachia as a region? This week, we watched a video called “The Last Mountain”, read articles on the use of OxyContin in Appalachia, and did an experiment to make coal crystals. 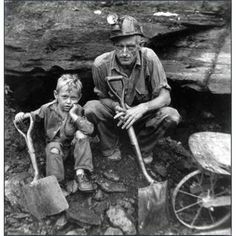 In the video “The Last Mountain” we saw how much the coal mining industry affected Appalachia. The people who lived near the mountain were suffering severe affects. For example, multiple people that lived next door to each other died of brain tumors due to inhaling the pollutants from the mining. Also, a man that was interviewed showed his vintage car that he had to have repainted multiple times because the fumes stripped car paint. If the fumes these people are ingesting can strip car paint, what else is it doing to them. A woman that was interviewed spoke about her child who was born with autism. She wondered if she had lived in another place if her child would not have autism. The other side of the story is from the coal miners’ perspective. The people who work on the mountain do not want to stop because it is their only source of income. They believe that outsiders are coming in and trying to take their jobs away, but have no real say because they do not actually live in the region. The article we read relates to the movie because many coal miners and citizens of Appalachia are addicted to prescription drugs, especially OxyContin. Doctors are prescribing mass amounts of this addictive drug to curb pain, causing mass addiction across Appalachia. I believe that every area has its own problems with drugs, and that it is dependent upon where you live. In Appalachia, many people work jobs requiring manual labor, and have to work through injuries and pain just to make a living. Doctors in Appalachia seem to be more lenient, some prescribing Oxy without even consulting the patients doctor. All of these issues in Appalachia can be avoided or managed, but the citizens of Appalachia need to be heard by government for any changes to be made. A current group organizing in Appalachia currently is the United Mine Workers of America. The members of the organization include miners, manufacturing workers, health care workers, correction officers, and public employees. The main issue they focus on is safety for employees in the workplace, but they also fight for financial security at home. Currently, they are the largest labor union in North America. Appalachia was very quickly transitioned from a slow moving farming area, to a huge industrial coal mining business. While coal mining brought profit to Appalachia, did the degradation of their natural resources, low wages, and unsafe working conditions outweigh the benefits in the eyes of Appalachians?